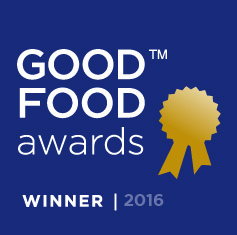 We walk a lot about the Good Food Awards. They are a celebration of delicious foods produced in sustainable and responsible ways. Nominees across multiple categories travel from around the country for this event and to partake in a fabulous weekend of positive food related activities. Marcia Nodel of Marcia’s Munchies addressed the winners of the pickle category winners at the 2016 Good Food Awards. Watch the speech below or listen to it on Heritage Radio Network.